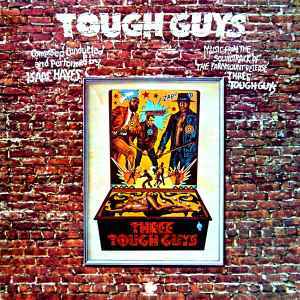 Music from the soundtrack of the Paramount Release "Three Tough Guys", starring Isaac Hayes, Lino Ventura, Fred Williamson with Paula Kelly. Story and Screenplay by Luciano Vincenzioni and Nicola Badalucco. Directed by Duccio Tessari. Produzioni De Laurentiis Intermaco. S.p.A. Rome. It's cool record, but sounds very flat, it's hard to distinguish each instrument.